The Maruti Alto 800 is India’s largest selling car. It is attractively priced between Rs. 2.43 lakh and Rs. 3.15 lakh for the petrol variants, while the CNG variants are priced up to Rs. 3.56 lakh. The new Alto 800 is roomier than the model it replaces and has slightly better power as well. 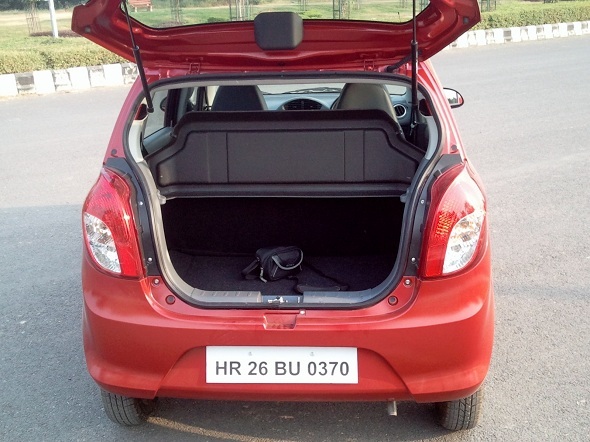 Here’s more about the features of the Alto 800. 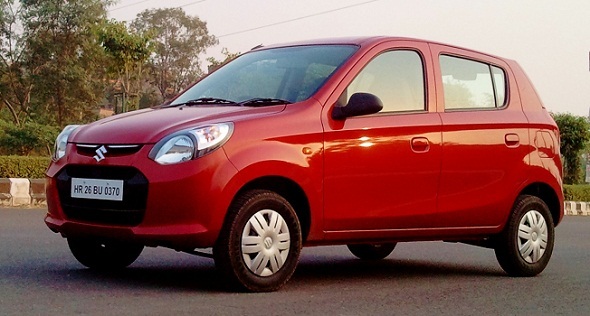 The front of the new Maruti Alto 800 is characterized by the large hexagonal grille, which gives this car a bold look. 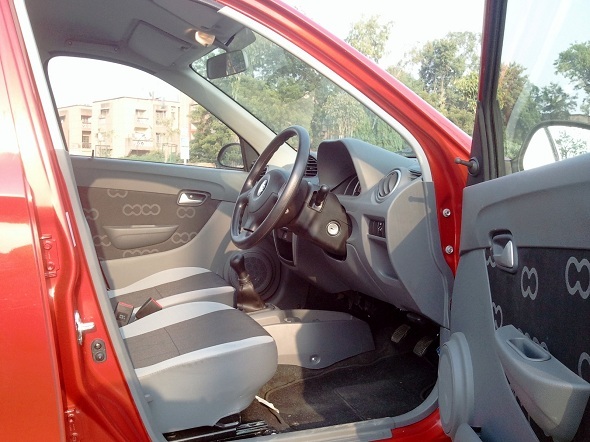 The windows though are smaller than the previous Alto 800. The bumper has a small lip to it that looks like a spoiler, but there is no provision of fog lamps for it. The top LXI variant pictured here comes with full wheel caps. The interiors of the Alto 800 come with a choice of two colour combinations – either grey and black as pictured here or in beige and black. The upholstery is quite new age. 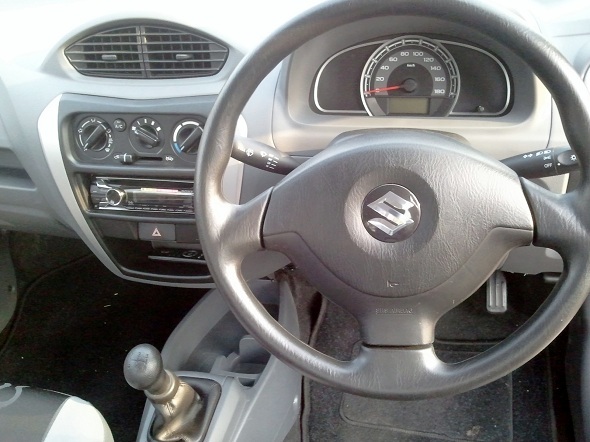 The layout of the dashboard too is more futuristic, with the centre set of AC vents housed in a dome shaped enclosure, while the outer vents are circular vents. The top-end LXI variant comes with two front power windows, with the switches near the gear lever. 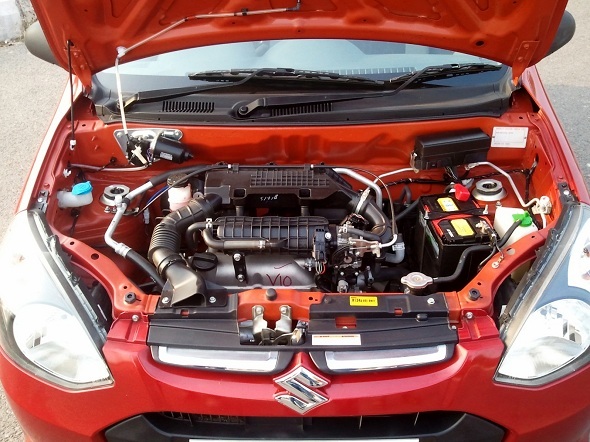 The Maruti Alto 800 is powered by the old 796 cc, three-cylinder, cast-iron block, 12-valve petrol engine. However, power output has been improved. It now puts out 47.5 bhp of power at 6000 rpm and 69 Nm of torque at 3500 rpm. Fuel economy from this engine is a claimed 22.74 kmpl. 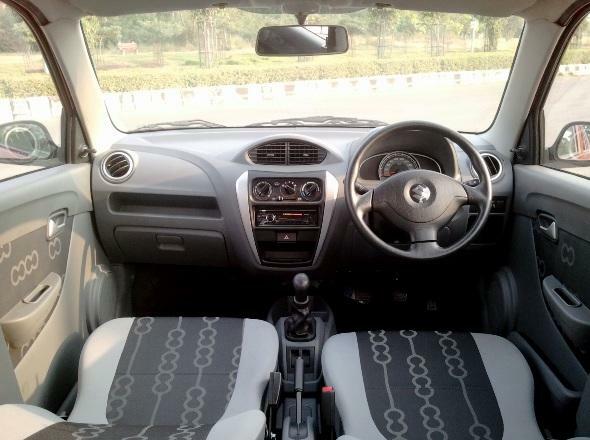 The front seats are firm and supportive and steering set at a proper angle for a comfortable driving position. It is not adjustable. The seats only have fore and aft, and recline function. They come as single piece units with integrated headrests. The front doors have provision for front speakers. The locking mechanism is the older, pull-type pin on the door pad. It does not have central locking. 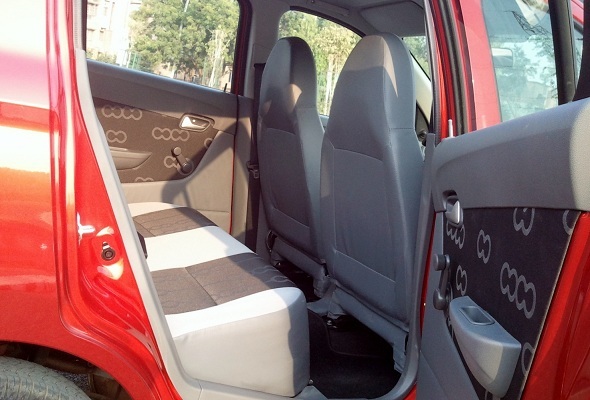 Rear seat space is adequate in the Alto. It is slightly better than the older Alto 800, and the thin front seat backrests have freed up a little more legroom at the rear. The rear gets manual winding windows only, with the windows rolling down only 70% of the way. 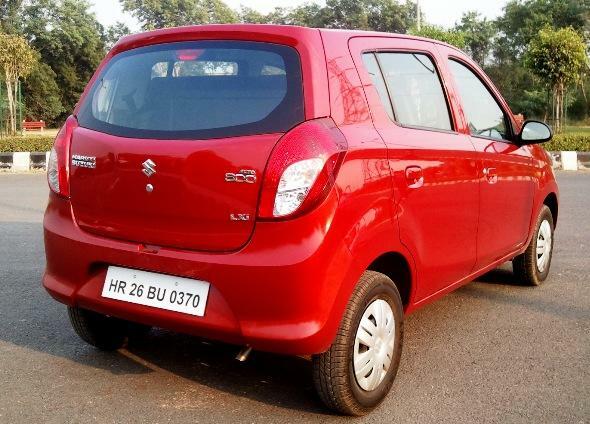 Share your thoughts on the Maruti Alto 800. Is it the ideal entry level car?